July update! Spain back in business! Things are really busy at Roda Golf, with summer now in full swing. Rentals have definitely increased on the previous three years, and property sales and purchases are now as busy as any time in the previous seven years, so Read more, and optionally leave a comment! Things are really busy at Roda Golf, with summer now in full swing. 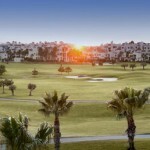 Rentals have definitely increased on the previous three years, and property sales and purchases are now as busy as any time in the previous seven years, so things in Spain, particularly at Roda Golf, are definitely heading back to normal... it is fair to say that Spain is once again “open for business”! We are looking for more properties for sale, as inventory for the really nice properties is running low, so if you have a property to sell on Roda Golf, please contact us as soon as possible for an informal chat about the sale of your property, as well as a realistic appraisal of your property’s current value. We also have some amazing properties for sale so, If you are considering purchasing your new property at Roda Golf in Murcia, please contact us right away, and direct, on 00 34 680 842 895 (or info@calidainternationalproperties.com), we have the largest selection of resale properties and we are the number one agent for Roda Golf, just look at this amazing bargain right here - Property of the month! “I recently purchased a property on Roda golf on recommendations from a couple of friends who had bought in the area of Murcia southern Spain. I first went to Murcia in January 2014 as a friend of mine (who had been hounding me to go out there and see for myself for probably 2 years) was going out there with the intention of purchasing a second property in the area. I wasn't sure what to expect however I went with an open mind (with a hint of scepticism) however we arrived on a Thursday night and stayed in a lovely hotel in Los Alcazares for our three night stay. I had also arranged to meet some agents (over the internet namely Chersun Properties Paul Cherry and Stuart Thomas of Calida International Properties) and some agents through my friend to view as many properties as possible while I was there to see what the area was like and also what was on offer. Stuart was very knowledgeable in terms of the area and also about the buying process and the market generally given Stuart has lived in the area for over 10 years. I found Stuart to be a no nonsense type of guy who was there to help and do his best to assist me with my requirements. This was very refreshing as rather than showing me a whole lot of properties that didn't really meet my requirements (in the hope I may find something) he stuck to a handful which suited my requirements thereby not wasting my time or his which given we were in the region for a small amount of time was exactly what I needed. Stuart seemed to be able to assess from a brief chat exactly the type of property I was after in terms of the full wish list. I am a person that knows what he wants and when I see something I like I have always move quickly to clinch the deal. When I returned to the UK my mind was buzzing with positivity of the Region as the infrastructure (Roads / Towns etc.) are “first class” not to mention the general feel and buzz of the place, as my three day visit was way above expectation hence fell in love with the Region probably due to its simplicity, friendly people and first class facilities and abundance of things to do. I therefore selected a short list of 8 properties from what I had seen (on my 3 day visit) as I was as “keen as mustard” to become involved in the area. Although i had seen some great properties, none of the eight on my short list had the wow factor but they were nevertheless fine properties. I have previously, some years ago almost committed to buying in Vilamoura (Portugal) in 2007 (as I have been playing golf in Vilamoura for over 10 years but prices there were a lot more expensive even though the facilities and what was on offer in the Murcia region are very similar. The entry level in Murcia compared to Vilamoura, Portugal is very different yet the two areas in my view offer pretty much the same type of life with golf in abundance, fantastic shopping, beautiful beaches, fine food, friendly people and the list goes on.....not to mention beautiful cities or small towns with endless character. I stayed in contact with Stuart Thomas (as I was keen to not miss an opportunity) and I found Stuart to be the most knowledgeable agent who understood my requirements. Within a couple of days of my return Stuart emailed me with another couple of properties (which had yet to be listed) that came on the market so within a week I was on a plane back out there to see what else was on offer. Given I only spent a few hours with Stuart on our final day, my enthusiasm was sky high as I could see there was a lot more to see in the area as my initial 3 day visit wasn't enough. I met up with Stuart again and he showed me four properties on Roda Golf as this was my target resort given the quality of the build, facilities, the golf course and closeness to the beach ticked pretty much all the boxes. I viewed a couple of penthouses and also some ground floor apartments however the one that caught my eye was a penthouse on Phase 3 which has stunning views (360 degrees) and a lovely communal pool. Having viewed other penthouses on Roda this apartment was the stand out by far. I then put an offer in and within an hour the deal had been done. I was one happy man as this apartment is to be our main summer abode for years to come. I had not previously purchased in Spain however I have bought property in France back in 2006 hence there was trepidation given the buying process in France is very complex and long winded. Stuart offered legal services through a local company, so I took up the offer and to my surprise the whole process was a dream from day one to the day we completed. The buying process in the Murcia region was very simple, uncomplicated and most importantly the contracts were in both Spanish and English. So on my second visit to the Murcia region with 10 days i had purchased a property. It was quick but I had no qualms at all as Stuart had allayed all fear (given I had heard and read of some horror stories) however Roda Golf is a well established resort which is growing in popularity even in the short period that I have been involved. Within two months we had completed and we are now enjoying our new apartment. I thank Stuart Thomas for his advice and support through the whole process as I never dreamed that buying property could be that simple, I definitely recommend anybody considering purchasing property at Roda Golf, or anywhere in the Murcia region, to contact Stuart Thomas at Calida International Properties in the first instance, you will not be disappointed and he makes everything so easy! My wife visited with me a couple of days after we completed and she was extremely impressed with the Region and the resort (given we have been going to Portugal for our annual summer holidays for years). Now that is the kind of news we like to report and we do have many more stories like this one, hopefully we can assist you next, please contact us for more information. We are just about at the end of yet another incredibly busy summer, the rentals at Roda Golf have far exceeded expectations, with availability almost non-existent throughout July and August! There was also vastly increased numbers of rentals at Corvera Read more, and optionally leave a comment! We are just about at the end of yet another incredibly busy summer, the rentals at Roda Golf have far exceeded expectations, with availability almost non-existent throughout July and August! There was also vastly increased numbers of rentals at Corvera Golf - things at last are starting to look positive! Here we are back again with our first update of 2012. It has been well documented that things have been quiet for the last 24 months or so, however things are definitely picking up with the property enquiries coming in at last. We can also confirm some very good sales have been made this year at Roda Golf, and in the region generally. It's too early to get carried away, but this is surely great news for the local economy. 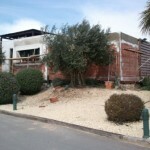 August 2010 update - Getting busy on Roda Golf! It has been quite a while since our last update, we have had such a busy summer to date and it is still only mid August, apologies to all those people who look forward to our updates, normal service will be resumed in September. Roda Golf is very busy at the moment. August is always manic, but it seems there are more people around this year than previously. Maybe because there are more properties that have been completed, and therefore more people visiting and enjoying their lovely new property. The rental numbers are up on last year. That may be because there are a number of long term tenants now on Roda Golf -and so there's actually a shortage of properties! Particularly through July and August, but whatever the reason it's surely great news. Phase 4A has now been completed and lots of people are moving in. It's good to see so many international removals companies delivering furniture, I have seen trucks from Sweden, Norway, the UK and the usual suspects in Spain. It is official now that Murcia Furniture located on the C3319 near Corvera are closing down, unfortunately another company affected by the recession, should anybody have any issues or general enquiries regarding this company, please feel free to send in an e-mail and I will do my best to answer any and all enquiries. Our preferred furniture partner DFS in San Javier, www.dfsspain.com are very much open for business, and as far as I can tell still keeping busy. Their comprehensive after sales service is the best I have experienced, and I can highly recommend them. For any help please contact them directly on (0034) 968 334 194. New bars are always good news! The Roda Golf clubhouse has had the rooftop solarium converted to a new bar and disco area, there is live music, dancing till late, and a fantastic atmosphere on the weekends, the views are outstanding and just yet another reason why Roda Golf is fast becoming the most desirable place to holiday in all of Spain. The golf course is looking absolutely amazing, the course is very busy, and has enjoyed record visitors throughout the summer. We now have the FSB (The Federation of Small Businesses in the UK) hosting their annual golf competition here at Roda Golf (in September), so the profile for Roda Golf is being raised all the time. A number of people are now not prepared to wait for their phase 4B properties to be built, and are actually discussing the option of taking another “key ready” property on Roda Golf. We have been very busy helping these clients. One such couple are newly weds Rob and Gail Henderson - many congratulations on getting married - and congratulations on eventually finding your holiday home in the sun! Please see the photo below of Rob and Gail on their solarium of their fantastic new penthouse apartment. If there are any other clients in a similar position who are not sure of their options, please contact us here and we will try to help resolve your concerns. We work very closely with the developer and are having fantastic results for our clients. If there is anybody on Roda Golf currently thinking of selling their property, please contact us here as we are now having a number of enquiries coming in from people looking to purchase on Roda Golf, obviously the market is still pretty flat, however it's definitely showing some signs of improvement, and we would like more properties to advertise. 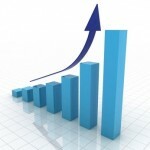 Also for those people looking to purchase on Roda Golf, there has never been a better time to buy,. There are some fantastic bargains about, some incredible properties available, and very low interest rates for mortgages. We have our own in-house mortgage service at www.lavidamortgages.com and the exchange rate is now going the right way for UK buyers! So please contact us now for the very best selection of resale properties, and the lowest prices on Roda Golf. As the number 1 official agent for Roda Golf and Beach Resort, we also have access to exclusive prices direct from the Roda Golf developer and we look forward to helping you with your purchase. Enjoy what remains of the summer and I look forward to catching up with as many Roda visitors as possible in the coming weeks and months. If anybody has any news or holiday stories they would like us to post here, please send them in and we will be happy to share with all our regular visitors. Hi everybody, apologies for the delay in updating the only information web site for Roda Golf and Beach Resort. We have been very busy providing updates for the sister resort at Corvera Golf and Country Club which is making fantastic progress. The Summer is well and truly here - and wow is it hot! We have some great news and photos to accompany the report on the new sports facilities and phase 4 apartments. Firstly the new Sports facilities. We have taken some great new pictures showing the new tennis court, the paddle tennis courts (mixture of squash and tennis played with large paddle bats and tennis balls), the multi purpose sports pitch with basket ball courts and hoops, and soccer pitch with goals. All are now completed along with the new access road and car park facilities. There are changing rooms along with a children's play area and lots of lovely landscaping, all over looking the signature hole - The par 3 7th to the island green, with great views across the lake to the clubhouse. The Phase 4 apartments are well under construction and not much to report here other than to say just look at the photos, the progress is amazing and it looks different everyday, there are 3 permanent cranes as well as a number of smaller ones, concrete trucks in and out all day as well as about fifty guys working around the clock. Phase 4 is really starting to look tremendous and we all expect this phase to be fantastic. It enjoys the lowest density of building on the resort at Roda Golf as well as the much awaited phase 4 "Brisa" style apartments. Yes, there has been quite a big delay, but it is going to be worth the wait of that we are sure. Finally, there have been some dramatic and fantastic changes and improvements at the Roda Golf Beach Club and we will have an update with photos very soon, it is now open and already some very positive comments have been forwarded to us. I hope you enjoy this latest report with photos, all feedback greatly appreciated, please also pay particular attention to our new Roda Golf services brochure which you can download below. We are happy to help with every aspect of your completion of your new property at Roda Golf or to provide a professional management service with rentals if you are already an owner at Murcia's newest and best golf resort here at Roda Golf and Beach Resort! We'll be back in a week or two with another update, and we have a small video of Phase 4 construction too!